Boris lives in a burrow in the woods that is lit solely by glowing mushrooms. 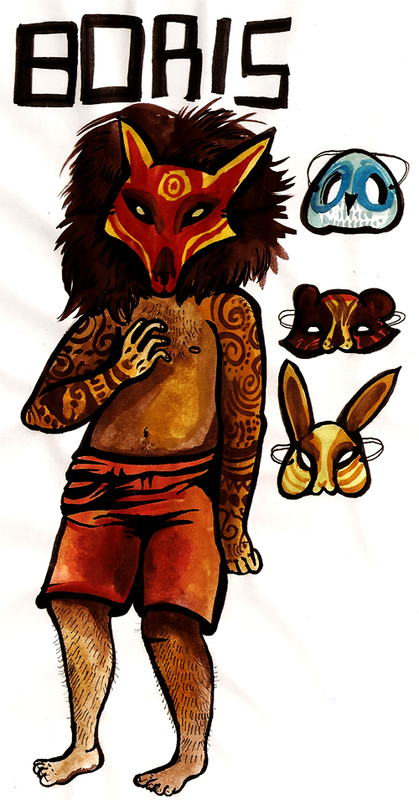 He carves various animal masks and gets specific powers from these masks depending on what animal it is. For example: wearing some sort of dog mask may give him an incredible sense of smell, or wearing some sort of bird mask could give him the ability to fly. You can get more specific, it's whatever.